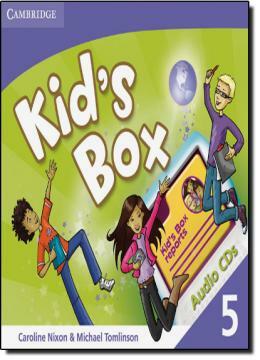 Kid´s Box is a brand new, six-level course for young learners. Bursting with bright ideas to inspire both teachers and students, Kid´s Box gives children a confident start to learning English. It also fully covers the syllabus for the Cambridge YoungLearners English (YLE) tests. The Pupilâ€™s Book presents and practises new language through amusing stories and fantastic songs and activities, making the learning process a joy. Level 4 completes the Movers cycle.